Feb 12, 2019 / WORDS Brock Ford / PHOTOS Sandra Markovic / I'll be fine. Sydney party-rock metalcore lords, Totally Unicorn return with a new album. Following on from 2016’s Dream Life, the new album, Sorry, brings about a new level of depth, drawing on the experiences, both good and bad, of lead man, Drew Gardner. There had been talks of a new album from the Totally Unicorn after they posted on their Facebook page back in August, stating that they had wrapped up recording on new material. With the announcement of Sorry, Totally Unicorn also dropped the debut single from the album. Titled I’ll Be Fine, the lyrics were written in the studio, on the fly, while recording. A raw insight into the life of Gardner, the track is not what you would expect from the band, but a post-grunge tale of discovery through pain, a story of sadness, bolstered by extended metaphor and touching imagery. Totally Unicorn have been around for nearly a decade, following the break-up of Gardner’s old punk metal band, Hospital the Musical, in 2010. A band can’t be around for 9 years and not see some things. Sorry is a collection of songs said things—about life, for better worse, and encompasses the passion of a man whose passion is well known. 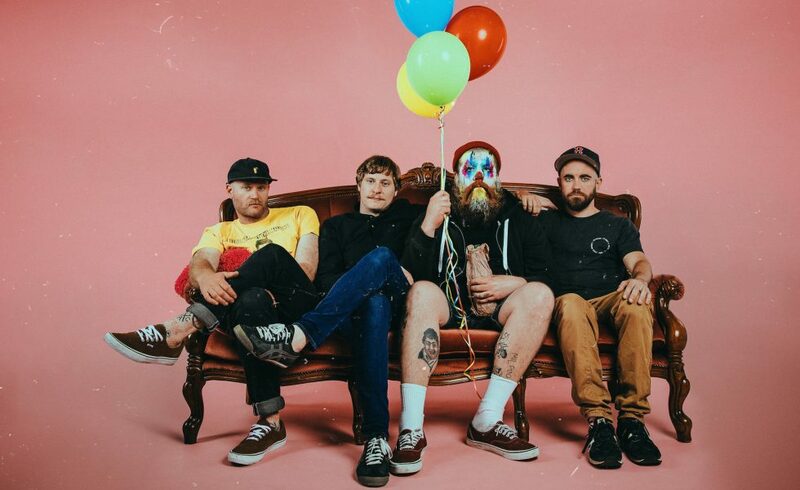 Totally Unicorn have become renowned as having a hectically epic live show, honed over many years of touring and playing with some of the largest international alternative bands to tour Australia, like Rolo Tomassi and La Dispute. They have made a name for themselves, playing every show with raw, fervent energy, overlaying their riff-driven post-punk. Sorry brings about the next page in a long, harsh, but memorable, journey. Totally Unicorn set out on this journey 9 years ago, and they have garnered a wealth of fans along the way. Sorry will only help to build on that base. Sorry is set for release on April 12, via Farmer and the Owl, and will be followed by a string of shows along the East Coast, with Sydney punk rockers, Arse.